European Group 1 stakes winner Mekhtaal will make his first start of the season in Sunday's $175,000 Nijinsky Stakes (Grade 2), facing seven foes in the 11/2-mile task over Woodbine's E.P. Taylor Turf Course in Toronto, Ontario, Canada. Owned by Al Shaqab Racing, the 5-year-old son of Sea The Stars earned graded turf stakes wins in France prior to shipping overseas and joining the Graham Motion stable last fall. Those wins include the Group 2 Prix Hocquart over 1-1/4 miles at Deauville as a three-year-old and the Group 1 Prix d'Ispahan over 1-1/8 miles at Chantilly last May. Mekhtaal, who has earned three wins and three seconds from 11 turf races lifetime, has made two starts in North America, finishing 10th in both the Grade 1 Arlington Million and Belmont's Joe Hirsch Turf Classic Stakes last year. “He came to me after the Arlington Million and I ran him the one time and we ended up giving him the winter off so this would be his first start back since then,” said Motion. “It's a little ambitious coming back and going a mile and a half in a stakes race, but this is obviously what he wants to do. “I do worry a little bit from a fitness point of view. It's always tough coming back and running that kind of distance, but he's a classy horse and I think he's had about 10 pieces of work – two of which were on the Fair Hill steeplechase course. It's a pretty good workout where they have to travel uphill the last part of the work. Among the contenders he will face is Vettori Kin, another international Group 1 turf stakes winner. Hailing from Brazil, the 5-year-old son of Vettori won the Group 1 Grande Premio Derby Paulista at Cidade Jardim over the same course and distance as the Nijinsky during his 3-year-old season. 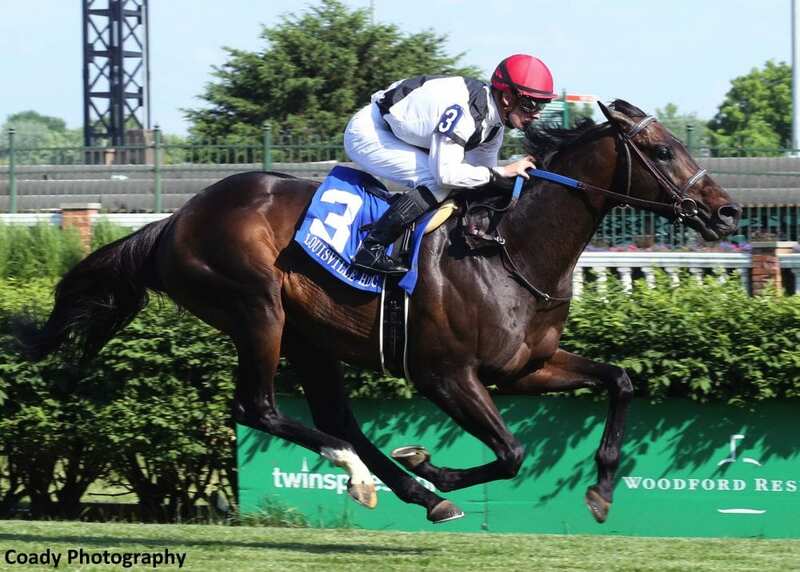 More recently in his stateside campaign this year, he won the Grade 3 Louisville Handicap at Churchill Downs and ran fourth in the Grade 1 United Nations at Monmouth Park for trainer Kenneth McPeek. The field also includes last year's Grade 1 Northern Dancer Turf Stakes winner Johnny Bear for the local connections of Colebrook Farms and Bear Stables as well as a pair of Chiefswood Stable homebreds Final Copy and Tiz a Slam, who won the Grade 3 Dominion Day over the Tapeta course on Canada Day. A third-place finisher in last year's 1-1/4 mile Nijinsky, Pumpkin Rumble enters this year's extended edition off a runner-up performance in the Grade 3 Singspiel on June 23 won by the Motion-trained Shahroze. Final Copy finished third and Johnny Bear was fifth in that 1-1/2 mile turf stakes. The field also includes Bangkok and Seeking Albert. Post time for Sunday's 10-race program is 1 p.m., with the Grade 2 Nijinsky scheduled as the afternoon's eighth race. This entry was posted in Racing and tagged Graham Motion, johnny bear, Kenneth McPeek, mekhtaal, nijinsky stakes, vettori kin, woodbine by Press Release. Bookmark the permalink.